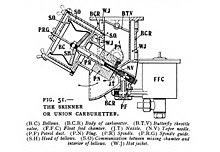 On one of your pages, namely, the one mentioning the history of SU Carbs, you mention that the origin of the Skinners Union name is actually Sausage Skinners Union and that the carb looks like that meat grinder. I can assure you any resemblance is coincidental and it might have been said as a joke (again, due to the unintentional resemblance). The name Skinner is exactly that, a name of a family. The Skinners. I know this because I am related by marriage to George/Herb Skinner who invented/designed the carburetor and went into business with his brother,...hence Skinners Union. He was an early automotive pioneer. 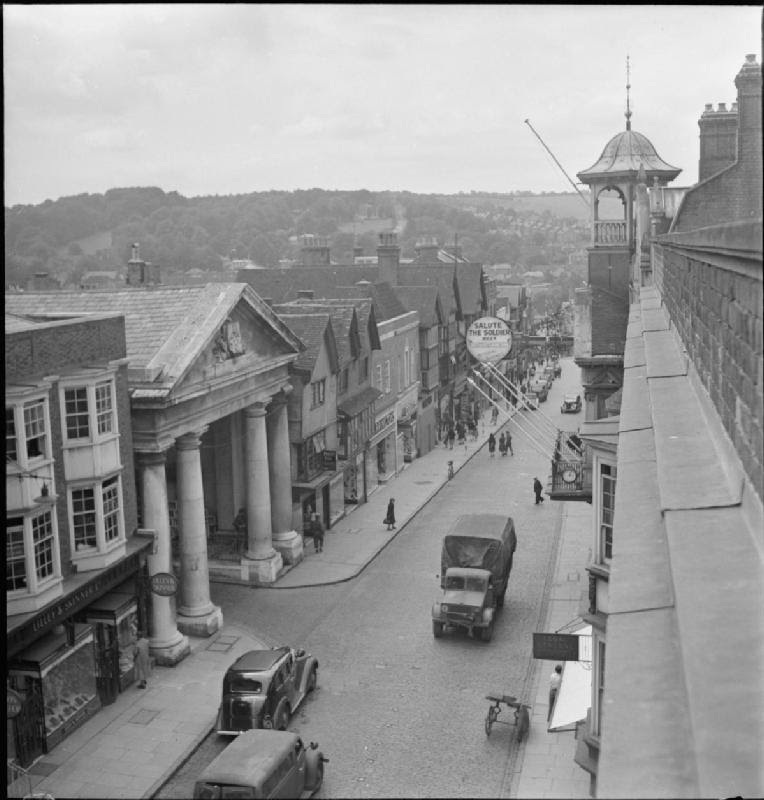 Also, the same family name can be found in the no longer existing shoe shops Lilley & Skinner Shoes. They once had the largest shoe shop in the world on Oxford St, London, aside from a number of other stores in other parts of Britain. Like I said, I am related to George Herbert Skinner, and namely his son's (Herbert Banks Skinner FRS) wife, Erna. George's son Herbert Banks Skinner was a Fellow of the Royal Society as he was a famous Physicist. He headed the Physics department at Liverpool University at the time of his death. None of these businesses (Su Carbs or Lilley/Skinner shoes) are in the family anymore and have not been for many many years (and quite frankly I don't see any multi millionaires around me so I am unsure where the money went to). But none the less,....trust me,....Skinner relates to the family Skinner, NOT sausages! Pretty accurate info can be found here on these pages. SKINNERS UNION - HS-115 "SU" Carburetors and Fuel Pumps. At 04:33 PM 1/3/06, Michael Sloan wrote: >"I'm looking at fuel pumps .... Do you know what the 'SU' is?" Thanks for your interest in the carbs article and detailed e-mail to point out the incorrect history! The coincidental resemblance of the Carb to a meat-grinder came to me in a moment of (questionable!) creativity, and I developed the "Sausage" part around it to embellish the story a bit further...it was strictly intended as a made-up and crazy explanation of the history of this carb, which because of the picture of the meat-grinder, was just close enough, that it might pass as fact, with just a bit of creative acceptance of the premise. I added it in order to have some "completely new info" in the article, and keep the otherwise pretty dry information, which can be taken from any number of other factual sources on the carbs, interesting and unique (it is certainly that!). I guess I should (and will) add an explanation and disclaimer to prevent misunderstandings. It seems that Edd China, entertaining presenter, and skilled mechanic on the TV show "Wheeler Dealers" and the show's researcher/historian were also taken in by the creative history and actually repeated it on the episode where they restored a Volvo P1800 (Correction: PV544...see below!). I was astounded by the show having been taken in, and highly amused (and honored!) when I heard Mr. China repeat the fictitious information on the show, because I knew it for what it was, having strictly come from my fertile little mind. My intent was never to dishonor or insult the Skinner name! As I state in earnest in the preamble to the on-line article, I am a huge fan of the SU carb! I feel that Mr. Skinner did a brilliant job developing this critical, important automotive component, given that it does its precise job exceedingly well with a minimum number of moving parts, compared to competitor's designs, which are vastly more complicated to do essentially the same thing!! So good in fact is the SU design, (admittedly although, having nothing to do with a pork-butcher! ), that it was fitted by automotive manufacturers for approaching a century, which surely supports the saying that "Good design always stands the test of time!". I meant nothing more than to include some mildly interesting, possibly amusing, information which I knew the reader could see nowhere else. Thanks again for your attention to the article and Regards in return from Connecticut. With apologies to Edd China, formerly of the "Wheeler Dealers" show on Velocity Network. Here he is, while sorting out a P1800. While he is clearly a greatly experienced mechanic, he, or his (less than crack) research team for the show (or maybe just him cruising the internet at night), were completely taken in by my highly fictitious but apparently believable meat-grinder history, that he even repeated the "Sausage Skinners Union" reference on the show, where he worked on a PV544. I was instantly amused and dumbfounded, and nearly dropped my adult beverage! When I first saw the reference on the show, after I got over the initial shock and entertainment, I thought about contacting the show and offering a clarification, but later dropped the thought. Edd gets up close and personal with the Saint's Carbs. Picture: A screen capture from Wheeler Dealers S09E02 Volvo P1800. ...so if Mr. China visits the SW-EM Site again and reads this: I hope you are well, since quitting/being replaced, putting your unbounded automotive knowledge and experience to work...if your audience and fans get another chance to see you as a presenter/mechanic extraordinaire, please let us know where we can see you work your most excellent automotive Kung-Fu! Cheers, from one of your biggest fans. Origin of SU carburetor explained by Edd China ...see 1:00 minute mark. External material is attributed. The terms Volvo and Wheeler Dealers are used here for reference only. I have no affiliation with either, other than to try to keep the Volvo products and subsystems working for me, and to watch something other than the Golf Channel. The results presented here are from my own experience, in the case of SU history, also fertile imagination, and can be used (or not, and used strictly for your amusement around the watercooler!) at your discretion. As with any recipe, your results may vary! As always, if you can supply corrections (thanks Mr. Roth! ), or additional objective information or experience, I will consider it, and consider working it into the next revision of this article...along with likely the odd metaphor and maybe wise-a** comment. You are welcome to use the information here in good health, and for your own non-commercial purposes, but if you reprint or otherwise republish this article, you must give credit to the author or link back to the SwEm site as the source. If you don’t, you’re just a lazy, scum sucking plagiarist...the Boston Globe wants you!